Treat excessive sweating and gain instant relief from the symptoms of hyperhidrosis, such as sweat patches on shirts, body odor, and discomfort in the next 48 hours! Fix the root cause of your excessive sweating by holistically addressing the internal causes of this condition within 30 to 60 days. Stay dry even in hot weather and reduce body odor. Throw away your deodorants and antiperspirants and feel more confident right away! Restore your natural inner balance and stop hyperhidrosis-related health issues and keep them away forever! Lose extra weight, look younger, and feel healthier. Regain your energy levels and improve your quality of life dramatically... guaranteed! Without antiperspirants, astringents, lotions, or creams. Without injections or painful and expensive surgery. Without using electrodes to impair your sweat glands. Without hypnotherapy or mind exercises. Works on all types of hyperhidrosis: primary hyperhidrosis, secondary hyperhidrosis, emotional hyperhidrosis, gustatory hyperhidrosis, generalized hyperhidrosis, and axillary hyperhidrosis. Proven to work on: the face, palms, underarms, feet, back, shoulders, neck and chest. Even if you have very severe hyperhidrosis. Are you struggling to treat Hyperhidrosis? Are you frustrated by being unable to stop your hyperhidrosis or control your sweating despite all your efforts? If you answered yes, then I know exactly how you feel, because I have personally gone through the same experience. I battled my severe hyperhidrosis for more than a decade until I finally found a treatment and fixed it permanently. You're about to discover what might be the most powerful hyperhidrosis system ever developed. With it, I have helped thousands of people just like you permanently treat their hyperhidrosis and achieve permanent freedom from all types of excessive sweating. Are You Suffering From Any of the Following Emotional or Physical Symptoms? Any type of hyperhidrosis (in any level of severity) on your face, cheeks, palms, underarms, or feet? Do you get sweat patches on dark or baggy shirts? Do you put tissues under your arms to soak up the sweat? Do you overuse antiperspirant deodorants all day long without visible relief? Do you avoid hugging, drawing attention to yourself, or close contact with people? Do you obsess over your sweating condition? Do you spend a lot of money on drugs and over the counters that do not seem to work? Do you want to treat your hyperhidrosis but don't know which treatment is right for you due to information overload? If you are suffering from any of the above symptoms, you can rest assured that I will help you stop and prevent these symptoms by following a safe, simple, step-by-step holistic system. If you would like to learn how to treat your hyperhidrosis permanently and regain your health and wellbeing, without drugs, without typical hyperhidrosis treatments, and without any side effects, then this will be the most important letter you ever read. I guarantee it and I've got the results to prove it! "It's been 7 days since I completed the basic Sweat Miracle program and my hyperhidrosis is gone without a trace... I just could not believe I would be sweat free in 1 week!" This is truly remarkable. It's been 7 days since I completed the basic Sweat Miracle program and my hyperhidrosis is gone without a trace. I had a feeling that your program was the real thing when I first emailed you and got a reply within an hour, but I just could not believe I would be sweat free in 1 week! Prior to your program, I bought hundreds of different antiperspirants, when I accidentally saw your site. I gave your system a try and within a week all my family and friends noticed a huge change. Two months later, and without spending obscene amounts on all sorts of medications and over the counters, all of the awful sweating sessions I once experienced were gone. Completely!!!
" I never thought I would ever stop sweating so much after physical activity but I have!" What a relief! I haven't been sweating as much as I did for more than 3 months now. I have thrown all my antiperspirants straight into the trash. Who would have thought it was so simple to eliminate excessive sweating, all without prescription medications... For 2 years, I tried to treat my condition using over the counter products, and my face and back would just break out in unbearable sweat over and over. It took some effort and persistence (your counseling service is priceless, by the way), but I finally can admit that I have managed to overcome this affliction for good. I never thought I would ever stop sweating so much after physical activity, but I have! Thank you for making a difference!" "4 weeks into your plan and I am hyperhidrosis free. Unbelievable!" Since my early 20's, I was plagued with severe hyperhidrosis. For almost 14 years I suffered from frequent and severe sweating occasions. Like many other hyperhidrosis sufferers, I assumed that hyperhidrosis was a temporary thing so it was obviously very frustrating when my hyperhidrosis only worsened with age--despite my determination to get rid of the problem, my constant trips to the doctor and pharmacies, and thousands of dollars spent on hygiene products. After reading your "Sweat Miracle" book, I immediately felt confident and empowered to solve the problem. Suddenly there was a clear, well-structured plan to follow that seemed so logical and promising as opposed to sitting back and passively accepting my fate. Even though Sweat Miracle is not a quick fix cure by any means, I have seen fantastic results in a very short time. I started your step-by-step program on mid June 2011. By the end of July 2011 my body produced almost no sweat regardless of the emotional of physical situation I was in. It felt like a miracle! 4 weeks into your plan and I am Hyperhidrosis free. Unbelievable! I'd recommend the book to any man or woman afflicted with hyperhidrosis." "Within 3 weeks, when I saw my doctor for a general appointment, my hyperhidrosis condition was completely under control! After years of suffering, I am finally sweating like normal people do..."
When I first emailed you and asked about the program, I thought, "Yeah, but not for me." I struggled with excessive sweating for 9 years and tried everything my doctor told me. My hyperhidrosis was so bad at times that I wouldn't go near crowded places, let alone sit in restaurants or go to the cinema or theater. After careful consideration, I went back to your website and purchased the book for myself. What a smart move that was! I still swear by your book. Within 3 weeks, when I saw my doctor for a general appointment, my hyperhidrosis condition was completely under control! After years of suffering, I am finally sweating like normal people do. Today, I feel so clean and in control and I allow myself to go wherever I want and meet whoever I want without restraints. Your book was a godsend for me!" "I've tried every product and prescription, available online and offline, including special deodorants and all natural antiperspirants, and yours was the only plan that actually worked! I'm 32 and finally hyperhidrosis free." You really should publish a hard cover for this program as it had helped me overcome a major sweating problem when nothing else worked. I first found out about your program through an online community, and I was curious to know, being the bitter skeptic that I am, what your program could offer that I hadn't yet tried. I've tried every product and prescription, available online and offline, including special deodorants and all natural antiperspirants, and yours was the only plan that actually worked! I'm 32 and finally Hyperhidrosis free. Your system has had such a remarkable impact on my life, and I really can't thank you enough." Thank you also for your tremendous help and support." "It's been 4 months since I first ordered your system and it seems that no matter what I do or what emotional state I'm in, sweating is not a problem anymore. I feel so relaxed and secure knowing I will never suffer from excessive sweating ever again..."
I wanted to drop you a quick message to express my deepest appreciation for what you have done for me. I have been following most of your suggestions and the results amaze me every time I am in a situation where I used to sweat like there's no tomorrow. You have created a very informative resource. I'm impressed and I am sure I'll go back to it for reference." "...stopped sweating, at last! No more sweat patches for me..."
Last time we chatted through Skype, I told you that my sweating seems to be decreasing gradually. Well, it's been several months since I discovered your system, and it seems that I'm free from any signs of hyperhidrosis! Your program is wonderful, truly wonderful! I have been on the Sweat Miracle for about 8 weeks now and stopped sweating, at last! No more sweat patches for me... furthermore, I get complimented on my facial skin all the time and I finally feel great about myself. I truly recommend this invaluable program to anyone who suffers from hyperhidrosis, at any age. Worth every penny. "I was practically a 'sweating machine' and this condition (coming and going for the last 5 years) had turned me into a slave to pharmaceuticals, constant showers, shirt changing and sweat patches but now... my sweating is completely under control." I've been playing with my kid today and I cannot thank you enough. No excess sweating and no embarrassment. Before I followed your plan, I was practically a 'sweating machine' and this condition (coming and going for the last 5 years) had turned me into a slave to pharmaceuticals, constant showers, shirt changing and sweat patches but now... my sweating is completely under control. Seriously. "This plan works long-term, unlike everything else I've tried..."
Your program is magnificent! It works long-term, unlike everything else I've tried. I was truly inspired by your words and your personal story moved me. I followed your plan, including mailing you three times a day (you are one of the most sensitive and caring person I met), and I'm practically hyperhidrosis free and it's only the second month of the basic plan... Miles, you are a real lifesaver! Thanks you so much for this invaluable life changing resource." "My excessive sweating condition seems to be a thing of the past, and I truly appreciate what you have done for me!" I am utterly speechless. I'm only on the third week of your plan and it seems that I'm not sweating like I used to. My skin feels dry and refreshed. You have no idea how much money I have wasted on pointless medications and unconventional treatments before I read your book. (On second thought, you do). I am happy to say that your system has changed my life single-handedly. I have turned into a more confident, attractive and free (really free) individual. As I write to you, my excessive sweating condition seems to be a thing of the past and I truly appreciate what you have done for me. Before we proceed, let me reveal 4 of the most important facts you need to know to understand hyperhidrosis and what you need to do to fully control and eliminate its root cause and symptoms for good. Fact #1: There is an overload of conflicting information and often ineffective advice on how to treat hyperhidrosis. If you suffer from any type of hyperhidrosis, it is likely that you have been bombarded by so much conflicting advice about how to treat it that it has become truly confusing! Believe me, I understand! Some hyperhidrosis "gurus" tell you to avoid certain foods; others tell you that these foods are actually good for your health and that eating them wouldn't interfere with your hyperhidrosis healing process. Some will swear by the effectiveness of a certain vitamin; others say to avoid that at all costs. Some say the only way to cure hyperhidrosis is to follow a specific diet; others say diet is not a factor when it comes to curing hyperhidrosis and that you need to empower your nervous system instead. I can give you a dozen more examples but you get the point. All these so-called hyperhidrosis experts make arguments that sound completely logical, but who the heck are you supposed to believe? Well, the Sweat Miracle program is the result of more than 11 years and 38,000 hours of documented clinical research and thousands of dollars spent on experiments and trial and error. The program has already helped thousands of hyperhidrosis sufferers worldwide achieve permanent hyperhidrosis freedom if followed correctly, and the testimonials you can see on this page are not accidental. I have worked hard for more than a decade to separate the wheat from the chaff to give you the knowledge and power to take action with a safe and effective plan, without suffering from the confusion that causes procrastination. Fact #2: Hyperhidrosis drugs such as Ditropan, Robinul and Probanthine can make your hyperhidrosis worse. Hyperhidrosis medication is not the solution to excessive sweating. By prescribing hyperhidrosis medications time and time again, your doctor is actually making your hyperhidrosis and your health worse in the long run, without even knowing it. When you suffer from the frustration and embarrassment of hyperhidrosis, it can sometimes be tempting to visit the doctor and legally acquire medications to treat your hyperhidrosis from the many options available. Significantly damage your internal systems and destroy your natural internal and nervous system balance. Will not cure your hyperhidrosis or prevent/fix the "environment" responsible for hyperhidrosis. Make your hyperhidrosis and your health worse in the long run. Fact #3: Creams, antiperspirants, and astringent agents cannot cure hyperhidrosis. Creams, antiperspirants, and astringent agents are designed to tackle the symptoms of hyperhidrosis, not the real cause. "Topical hyperhidrosis treatments" is a general name for all prescription and over the counter products that are applied on the skin, rather than taken orally. After more than 7 years of research and after experimenting with every known topical hyperhidrosis treatment available on the market, I can honestly and confidently say that there is no topical hyperhidrosis treatment that can actually cure your hyperhidrosis. While there are several topical treatments that may significantly alleviate the symptoms of hyperhidrosis, since hyperhidrosis is not an external problem with your skin but an external manifestation of a deep internal problem, topical treatments—regardless of how powerful they may be—only serve as band-aids by masking the symptoms. The only way to overcome your hyperhidrosis challenge, regardless of the type of hyperhidrosis you have or the level of severity, is by fixing the internal cause using holistic, all-natural methods that tackle the root cause of hyperhidrosis, and not by applying topical hyperhidrosis treatments. Fact #4: Hyperhidrosis is not only a problem with your skin but a warning sign of a serious inner imbalance. Let's make this clear: Hyperhidrosis is not only a problem with your skin. Hyperhidrosis is an internal and systematic problem. It's a symptom of a disorder that affects your whole body and manifests as hyperhidrosis. Since our bodies are designed to protect us against skin disorders such as hyperhidrosis, it is simply a warning sign that something is wrong inside your body and needs to be corrected. Failing to diagnose and fix this problem in a timely manner can result in far more severe and chronic symptoms and disorders (as I explain later) which can seriously endanger your health and wellbeing. Cure Hyperhidrosis Permanently. It's a fact: 95% of the people who use conventional hyperhidrosis treatments are only able to control their hyperhidrosis temporarily and often they end up worse than when they started. Now you can learn how to be in the successful 5% group that keeps it off forever. Don't believe those web sites that offer a fast remedy to hyperhidrosis. No magic pill or fix-it-all product exists. The solution I now offer is an intelligent, scientific approach that gets hyperhidrosis under control and eliminates its related symptoms in a few short weeks (depending on the severity). My program also teaches you how to prevent hyperhidrosis recurrence. Cure Hyperhidrosis Holistically. It's a fact: curing hyperhidrosis can never be achieved by tackling just one of the many factors responsible for hyperhidrosis. If you've ever tried to cure your hyperhidrosis using a one-dimensional treatment like creams, antiperspirants, or astringent agents and failed, it's probably because you have tackled only one aspect of the disease. Not only will this system teach you the only way to prevent your hyperhidrosis from forming, but you will also learn the only way to really cure hyperhidrosis for good—the holistic way. Cure Hyperhidrosis Without Drugs or Typical Hyperhidrosis Treatments. Drugs and typical hyperhidrosis treatments sometimes work partially and temporarily, and the side effects are nasty. Only the tiny handful hyperhidrosis sufferers who have learned how to treat their hyperhidrosis from within, without ever using drugs or over-the-counters, keep their systems free of hyperhidrosis permanently. Now you can learn these hyperhidrosis cure secrets from a nutritionist and a former sufferer who knows from real-world experience exactly how it's done. Sweat Miracle promotes a healthy and balanced internal environment while eliminating your hyperhidrosis and preventing its recurrence naturally and safely within 8 weeks. Cure Hyperhidrosis With a Safe, Effective and Clear Plan and Put an End to The Confusion and Conflicting Advice Once and For All. If you're frustrated and confused by information overload and bad/conflicting advice, then Sweat Miracle is THE SYSTEM that will finally make everything clear for you. When you finish reading the book, you'll say to yourself, "NOW I GET IT!" All the pieces of the hyperhidrosis puzzle will finally fall into place. You'll finally understand the truth behind your hyperhidrosis, the real deep rooted causes, and everything you need to do to eliminate hyperhidrosis from your life forever and feel better than you ever felt before. My sweaty hands and feet were always a family joke. Even when I was little, my siblings would squeal and run if my hands or feet got too close their nose. My mother even recounts a story about her conversation with a nurse when I was born. Apparently I was only two days old and my mother was doing her all-over baby body check, making sure all was just as it should be. When she brought my tiny little toes up to her face, she noticed something unusual—was it regular body odor? She asked a nurse if it was possible for a newborn to have stinky feet and the nurse laughed. “Why, no, honey,” she said. “Newborns don’t even have sweat glands that work yet, so there is no way they could be making foot odor.” Still, the nurse took a whiff and looked perplexed. “They do seem to smell a little,” she grumbled and walked away. That was my poor mother’s first interaction with my sweat problem. Unfortunately she had to deal with it for many more years to come. As I grew, the odor also grew. By the time I hit puberty, I had a variety of shoes: those to wear to school; those to wear in the house, those just for play; and of course, the infamous sports shoes that weren't even allowed in our home due to their odor! But my body odor (which I now know is called Bromihidrosis), didn't end with my hands and feet. In high school, no one wanted to be around me after gym class, and often even a shower didn't help. On the rare occasions when I left a sports bag in our family vehicle, it could take days to get the smell out of the interior. By my seventeenth birthday I had already begun to feel the sting of hyperhidrosis and the pungent odors it can cause. Whenever I was nervous (which seemed to be all of the time back then), I would break out in a sweat. Beads of perspiration would run down my face, neck and even my legs. If I was overly stressed on a hot day, it could easily soak right through my shirt, making it apparent to everyone around me that I was nervous. Despite the ridicule, I managed to complete high school without too much trouble and even played sports nearly every season. I tried dealing with my disorder by taking several showers a day, reapplying the strongest deodorants I could find every hour or so, and even taking spare clothes to school with me to change at lunchtime if necessary. All of that seemed to work OK to control my sweating, until I went off to college. Like many kids my age I chose a school in a warmer climate so I could enjoy year-round sunshine. Big mistake! At least back home the cold winter months would give me a reprieve from my worst symptoms, but not at college. There, I had to deal with chronic sweating every single day. Before long my roommate started to complain that our dorm room smelled like a gym, so I started washing my clothes every evening before bed. Then I started changing my clothes midday and my socks three or four times a day just to keep my symptoms from becoming apparent to everyone around me. A trip to the school clinic didn't help much. I explained to the nurse there about my excessive sweating and she told me to try and relax and use more deodorant. After taking my first college-level biology class, I asked my professor for some help. She was great and allowed me to do my final research paper on the different ways the body’s sweat glands work and how they can malfunction. Not only did I get an A on my paper, but I learned a lot about how my body worked and what might be causing some of my symptoms. During winter break I headed home and made an appointment with my family doctor. He wasn’t much help either. It wasn’t until I insisted on a paper sweat test that he even began to take my symptoms seriously. Thankfully, once he saw the measurements from my test, he agreed that I had hyperhidrosis and sent me off to see a dermatologist. Although the dermatologist offered some good tips for controlling my symptoms, her main treatment option was to put me on some heavy duty medications with a variety of side effects including sleepiness, a fuzzy head, and more. Returning to school after the break was difficult, since the medications seemed to cloud my thinking and made me way too tired to concentrate. Worse yet, I was still sweating. Not as badly, but still more than normal. After months of trying new medications I decided to go off all of them. I spent the remainder of my college years battling excessive bouts of sweating, and fungal and bacterial infections on my skin. Needless to say, I was not the most popular person on campus. Once I graduated, I decided enough was enough and made an appointment with a leading skin disorder doctor. Although he took my condition seriously, his main recommendation was the surgical removal of some of my sweat glands. Luckily I did not agree, but instead opted to do some research about the procedure first. What I learned made me realize that surgery was not the option for me. For the next year or so, I traveled from specialist to specialist trying to find someone who could help. In the meantime, I struggled to bond with those around me and find relationships I could feel comfortable in. After all, when you are always worried about sweating and smelling, it is hard to date and even make friends. I became obsessed with skin disorders, sweat glands, nervous system imbalance, and nutrition. I wanted to know everything there was to know on how to cure hyperhidrosis and prevent it permanently—I was absolutely consumed by this quest. So I started studying, and hard! I bought every book on balancing the nervous system, hormonal regulation, detoxing, dieting, and nutrition that I could get my hands on. I use to spend hours at the library with stacks of books, journals, and magazines about the subject and reading every word. I have literally read hundreds of medical books from cover to cover. My personal library quickly grew to over 370 health and nutrition books, and I had read every word almost to the point of memorizing them. I have also tried every hyperhidrosis treatment known to science and natural health with conviction, desire, and hope that it would make a difference—that it would finally eliminate my hyperhidrosis and bring me my life back. I wanted so much to get rid of my hyperhidrosis, so I blindly devoted myself to myriad methods and so-called cures, some familiar and some highly esoteric). Yet I Still Suffered From Severe Hyperhidrosis! Needless to say most of these methods, treatments and so-called cures either made my sweating condition worse and filled me with heartbreaking disappointment and frustration, or they only worked short-term before my hyperhidrosis came back with a vengeance. Some of these treatments didn't have any effect whatsoever on my excessive sweating condition. After years of self-experimenting with dozens and dozens of treatments such as the above (some I believe you never even heard of), investing my precious time, hard earned money, and my soul in search for that lasting cure without results, I finally felt my hyperhidrosis was stronger than me. I was willing to do whatever it took to cure it, but it seemed like there was nothing left to do but throw in the towel. I remember saying to myself, "Give up. Let it go... Every man has got his cross to bear and yours is Hyperhidrosis. Stop fighting and accept it." But how can anyone accept such a horrible affliction? How can I accept it when I'm surrounded with people who never suffered from this embarrassing condition? Not the kind of person who readily gives up, I decided enough was enough. If the dozen or so doctors I had seen couldn't offer any help, I would find it on my own. Maybe it was frustration, or maybe it was a sense of self preservation that drove me forward on my quest to treat my own hyperhidrosis, but I was determined to find a cure for myself and others like me—and guess what -- I did! I don't know if it was pure luck or a message from above, but as I was standing in line at a coffee shop, I started a conversation with a very intelligent and witty woman who told me that her sister had suffered from a severe case of hyperhidrosis, and the only person who had been able to help her had been an off-the-wall holistic practitioner called Richard who lived in British Columbia, Canada. I was skeptical, of course, but the woman insisted that he helped her sister completely heal herself from her condition. Having nothing to lose, I took the first plane the next week and met with Richard. I interview him for hours and left. Not long after the meeting with Richard, I discovered a very important piece of research. It took me a few years with a lot of research to get to where I am today: to know exactly what works and what doesn't. Yet, after desperate trial and error, countless of useless treatments, disappointments, and agony, a simple holistic system opened the door to my new and much brighter, hyperhidrosis-free life. I was also excited to see that my other skin problems and digestion disorders had diminished. After years of suffering I was finally free from hyperhidrosis! Here’s an interesting story about a friend of mine who suffered from severe hyperhidrosis along with very troubled skin due to her excessive sweating. She was a very bright women in her mid twenties, yet unemployed because of her condition. She was practically living on hyperhidrosis drugs and other over-the-counters and was in dire need of reassurance and help. (I've changed her name for privacy.) Dorothy was treated by four different doctors who advised her to keep taking the medications and apply the over the counter drugs and astringent agents. Then, she followed my step-by-step plan with some restrictions and limitations. I showed her how to reverse her condition by following the same approach you're about to learn. Dorothy committed herself to following the program. In less than 3 weeks (from Feb 1 2010, until Feb 20, 2010), Dorothy's hyperhidrosis had disappeared along with her related skin disorders. For Dorothy it was a life-changing experience. I developed this program so I could share my proven system with men and women around the world. Everything I taught Dorothy and discovered from my research can be immediately available to you through this bestselling Sweat Miracle program. I also started testing my system on other hyperhidrosis sufferers and it yielded the same shocking and groundbreaking results. In less than 7 weeks on average, 28 out of 28 men and women participating in my experiment had completely got rid of their hyperhidrosis and regained their lives. What's even more exciting is that it worked on all types of hyperhidrosis, on all levels of severity, and with men and women of any age. I was shocked again and again, that as long as people followed the steps correctly and completed the program, this system worked like a machine magically helping people to put their hyperhidrosis behind them. After the first several days the sweating began to slow down. In 1 to 4 weeks after that, all hyperhidrosis symptoms had completely gone away, regardless of the activities the subjects had participated in. Stress, embarrassment, humiliation, and any self-consciousness had now gone away. They instantly began to feel more confident, had increased levels of self-esteem, and felt much happier than ever. They felt lighter, healthier, and energetic. Their self esteem and confidence had dramatically improved. Their general health and quality of life had improved. So now I took the time, tweaked and refined the system to completion to ensure it would yield the most remarkable, long-lasting results. Since then thousands of men and women worldwide have used my step-by-step system successfully and gotten rid of their hyperhidrosis quickly, safely, naturally, and for good. "I no longer sweat as I used to and I feel confident enough to do anything I wish without the fear of sweating consequences. I'm also blessed with a whole host of other health benefits as well." You must be receiving many letters like this every day, but thank you so much for your efforts and the time you put into making this system and for your very informative advice! This program is an absolute must for all types of sweating sufferers out there! The natural way is so much more logical to me and works fast, I must admit. Since I started your program I have trashed all the antiperspirants, patches and so-called herbal remedies I had. What's more important is that your approach, the holistic approach, helped me eliminate my hyperhidrosis by fixing the underlying cause. How ignorant was I to think conventional medications can cure anything... Using your safe and well-constructed holistic system, I no longer sweat as I used to and I feel confident enough to do anything I wish without the fear of sweating consequences. I'm also blessed with a whole host of other health benefits as well. " "It seems like that never-ending river of sweat has been dried up for good. I feel much better in so many ways." Recently I suffered from an embarrassing sweating experience. I was advised to take several expensive pharmaceutical products, but the results were quite poor. Last April, I decided to try your all-natural Sweat Miracle product. Wow!!! A few weeks after I started the program I experienced complete relief from the sweating and other related symptoms. Now, 9 weeks later, it seems like that never-ending river of sweat has been dried up for good. I feel much better in so many ways. I am so glad that I have finally been able to find a product which has worked. I wish to thank you so much for creating such a complete holistic method and making my life pleasant and much happier! I will not hesitate to recommend your system to others. The first thing I discovered was that almost everyone is getting ripped off by the drug and pharmaceutical companies. The hyperhidrosis drug industries are filled with snake oil salesmen who are getting rich by preying on your desperation. The second thing I discovered is that almost everyone is dead wrong in the way they try to control and treat their hyperhidrosis. It's a fact: the methods you're probably using right now to clear your hyperhidrosis might be severely damaging your internal system and your health. If you're making the same deadly mistakes as most other hyperhidrosis sufferers, you might control your hyperhidrosis temporarily, but your hyperhidrosis and your health will get worse in the long run. I realized the hard way that there were no magic pills or fix-it-all products for hyperhidrosis. Drugs, antiperspirants, astringent agents, special diets, vitamins, and herbal supplements may work temporarily on the symptoms of hyperhidrosis, but if the real cause of hyperhidrosis is neglected, your hyperhidrosis will not be cured and eventually the severity of your hyperhidrosis will increase. Moreover, many men and women face myriad additional health complications after taking drugs and after surgery, because conventional treatments fail to address the root cause of hyperhidrosis. You can't overcome such a profound internal problem using drugs and surgeries aimed at treating the symptoms of hyperhidrosis. You can't fool your body—you have to work with your internal system, not against it, by fixing the root cause! If you have hyperhidrosis, besides the more conventional causes it is also possible that your hyperhidrosis is related to other risky conditions. The truth is that hyperhidrosis can be very dangerous if left untreated and can worsen with age. It is very common that the cause of hyperhidrosis is a problem with one of your internal organs. Hyperhidrosis can also lead to other skin disorders such as fungal nail infections, athlete's foot, jock itch, bacterial infections and warts. Risks of surgery include infection, blood loss and injury to structures in the chest including the lung and nervous tissue. As you can see, hyperhidrosis is not a condition you want to ignore or try to "live with." Your body sends you messages all the time. Most of us ignore the majority of them. Hyperhidrosis and the pain associated with them are like big warning signs in the middle of the road. If you ignore those messages, your condition is bound to get worse. By using drugs to shut off your body's alarm system, you are ignoring your body's messages and neglecting the root cause of your problem, thus making your hyperhidrosis condition worse in the long run. Hyperhidrosis is triggered by multiple internal factors and therefore can only be treated by tackling all of those internal elements, not by drying the sweat or going through surgery to remove the sweat glands. The only way you can ever cure your hyperhidrosis is by listening to what your body is trying to tell you, and working with it to free yourself. The Only Holistic Hyperhidrosis System In Existence That Will Teach YOU How To Permanently Stop Your Excessive Sweating, Improve Your Body Odor, Rebalance Your Body and Achieve The LASTING Hyperhidrosis Freedom You Deserve! "Sweat Miracle" is a 150-page downloadable e-book, jam-packed cover to cover with all the secret hyperhidrosis cure methods and unique powerful techniques, and the step-by-step holistic hyperhidrosis system I've discovered in over 12 years of hyperhidrosis research. This program contains all the information you'll ever need to eliminate your hyperhidrosis permanently without astringent agents or antiperspirants, without using drugs or surgery, and without any side effects. Sweat Miracle™ is Customizable for Your Unique Condition. Every person is different. That's why the Sweat Miracle system includes guidelines to customize the strategies and methods for your unique situation. You will be taught, step-by-step, how to be your own "scientist" and detect subtle factors within your own body that need attention while working with the plan to overcome your hyperhidrosis. Sweat Miracle™ is a Lifetime Solution That Helps You To Permanently Prevent—Not Just Deal With—Hyperhidrosis. Rather than fully empowering you, most methods offer coping strategies for how to eliminate hyperhidrosis once it occurs. Sweat Miracle will show you a unique set of protocols that can free you from ever having hyperhidrosis again, if followed correctly. The program delivers LASTING results. By using the correct approach found in the program, you will never have to suffer from another hyperhidrosis-related symptom in your lifetime. Sweat Miracle™ Was Authored By a Real Hyperhidrosis Sufferer. For more than 12 years I suffered from recurring, often severe, hyperhidrosis and skin related disorders. These are not theories written by some science geek who never suffered from hyperhidrosis in his life. I used this system myself and still follow it as we speak. I practice what I preach. Everything you will read and apply was written from a personal perspective, research, and experience, without any technical jargon. Sweat Miracle™ is Interactive: The Program Shows You Exactly How to Overcome Your Hyperhidrosis WHILE You Follow It. As soon as you start following the methods in the program you will immediately see results. With Sweat Miracle, you will start noticing dramatic positive results almost instantaneously as you start following the techniques in the program. The more you advance with the program, the more you will feel empowered. Sweat Miracle™ is Practical, Not Demanding and Difficult, and it Works FAST! Many hyperhidrosis programs are very demanding, difficult, and sometimes downright unrealistic. The Sweat Miracle™ system is very practical. It's easy to naturally incorporate into your current lifestyle. You will not have to go too far out of your way to follow the instructions, nor will you have to make unreasonable commitments to outrageous and absurd regimes or schedules. Sweat Miracle™ is Easy to Understand and Logically Laid Out. Don't worry about not knowing much about human anatomy, psychology, or medical terminology. I wrote the Sweat Miracle plan with the layperson in mind. It is presented in easy-to-understand language and in an easy-to-follow, logical, and organized format. 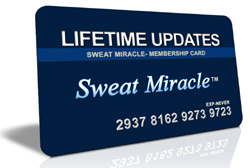 Sweat Miracle™ is Continually Updated. I learn new things every single day from continued research, testing and experimentation. I also get a lot of ideas to improve Sweat Miracle from the men and women that I counsel. I am therefore constantly in the process of refining and perfecting Sweat Miracle. These updates, no matter how extensive, are made available to my previous customers absolutely free! Sweat Miracle™ Offers Exclusive, Personal, One-On-One Counseling. The Sweat Miracle system is the ONLY Hyperhidrosis cure system in existence that offers FREE professional private email counseling and support from a nutrition specialist and a 7-year medical researcher with proven clinical experience. Let me ask you, how many more hyperhidrosis treatments will offer you this kind of professional, personal, and direct help, reassurance and support? The proven 5-step, multidimensional Sweat Miracle™ Success System that has helped thousands of men and women to end the excessive sweating and discomfort, sometimes within days, and eliminate all types of hyperhidrosis completely within 4 weeks. Step-by-step instructional diagrams and illustrations that will take you by the hand and walk you through clearing up your hyperhidrosis faster than you ever thought possible! Discover EVERYTHING you need to know about hyperhidrosis, EXACTLY what causes your hyperhidrosis and their related symptoms. The top ten foods you should never eat when treating hyperhidrosis. The top ten best hyperhidrosis cure foods you should eat all the time. A simple method to increase the your body's ability to stop the root cause of the hyperhidrosis that works almost like magic. The shocking truth about conventional hyperhidrosis treatments and hyperhidrosis surgeries, and the medication trap. Discover why most drugs, lotions, astringent agents, and antiperspirants don't work and how you can finally free yourself and use the natural approach forever. Discover how to eliminate your hyperhidrosis symptoms in hours using 3 SIMPLE and CHEAP home ingredients. Are you allergic to antiperspirants? Try this instead. You'll be amazed by the simplicity and effectiveness of this proven method. Discover a powerful technique to get dramatic relief from the irritation that follows sweating. The most powerful external hyperhidrosis relief secret weapon the skin care and hygiene industry doesn't want you to find out (and why most celebrities never suffer from hyperhidrosis)! The one secret, 100% natural hormonal and nervous system balancing supplement that you should take on a daily basis, which alone is guaranteed to make dramatic impact on your hyperhidrosis condition, sometimes in a matter of days! The cardinal sin of hyperhidrosis treatment that almost everyone is guilty of, which instead of curing your hyperhidrosis weakens and destroys your body's natural ability to defend itself, putting your health at serious risk and making your hyperhidrosis worse in the long run. How to improve the vitality of your skin and odor faster than you ever thought possible—almost instantly—using this one natural product! You'll notice the difference the first few days. SECRET #4: Discover the link between ONE specific medication and hyperhidrosis, and why must you avoid it to avoid worsening your hyperhidrosis condition and potential health complications. The importance of simple changes in daily habits that can stop your sweat glands from working on overdrive and drastically decrease your sweating, sometimes in a matter of days. Several of the best anti-hyperhidrosis supplements that almost NOBODY knows about, compiled by a 14-year study. SECRET #18: WARNING! A very common household ingredient can aggravate your hyperhidrosis. If you do not get rid of it, you will never get rid of your hyperhidrosis. SECRET #27: This technique has been voted "the best" because it fixes the root cause of hyperhidrosis and PREVENTS its recurrence. The importance of optimizing your nervous system. Discover how you can start feeling much healthier and ward off hyperhidrosis forever by reducing the burden on your nervous system. Finally the complete and honest answer to WHY you have hyperhidrosis, the CRITICAL main causes of hyperhidrosis, why some people always seem to make their hyperhidrosis worse, and how you can be GUARANTEED to stop it permanently. The amazing connection between physical activity and hyperhidrosis and how you can start EXERCISING your way to a hyperhidrosis-free life today! The 2 breathing strategies that help your body start to heal itself and regulate its hormonal activity. Why no special diet, lowered sugar intake, increased fiber intake, or detox program will ever cure your hyperhidrosis. Why this "almost magical" combination of three types of herbs will empower your body's immune system and cleansing abilities (required to eliminate hyperhidrosis) dramatically! The overlooked, natural 5 TEA BAG SOLUTION that can almost miraculously stop sweaty palms and feet. The simple, cheap, yet completely effective method of getting rid of system blockages and allowing your body to strengthen, heal, and fortify itself. Why hyperhidrosis is a WARNING sign that something is wrong in your system. The secret and most powerful way to eradicate the most harmful micro-organism that inhabits most hyperhidrosis sufferers, pollutes your blood, and stresses your system as we speak. The truth about parasites and hyperhidrosis, and how you can eliminate these harmful creatures using a simple and proven 7-day routine. The CRUCIAL link between lack of sleep, stress, anxiety, and hyperhidrosis, and exactly what you should do to control or completely eliminate these afflictions from your life. The disturbing connection between an unbalanced body and hyperhidrosis, and what you can do to bring your body back into balance quickly. Believe me: this is just the tip of the iceberg! Sweat Miracle is so much more than just an "e-book" It's a complete holistic system for sure-fire hyperhidrosis freedom—possibly the most comprehensive hyperhidrosis cure system that has ever been developed. Eliminate Your hyperhidrosis and end the suffering safely and permanently without the side effects of drugs. Instantly eliminate symptoms such as sweat patches on shirts, body odor, and discomfort that may accompany your hyperhidrosis condition. Gain a newfound confidence and wellbeing. Fix the damage that was already done to your internal organs by the nervous system imbalance. Stay dry even in hot weather and improve your body odor. Throw away your deodorants and antiperspirants, and feel more confident right away! End digestive orders like constipation, IBS, LGS, and bloating. Dramatically enhance digestive and intestinal health, and improve lung and heart function. Eliminate unwanted hair and other hormonal-disorder-related symptoms. Fight depression, mood swings, and anxiety. Experience enhanced elimination, thicker hair, and healthier skin and nails. Look younger; feel lighter, healthier, and more energetic. Enjoy increased mental clarity, enthusiasm, and vitality. No Matter What Type Of Hyperhidrosis You Have or How Severe Your Hyperhidrosis Is, You Can Start Using This Powerful System RIGHT NOW To Get The Freedom From Excessive Sweating You've Always Dreamed Of! By following the simple, step-by-step approach found inside the Sweat Miracle you will become permanently free from your hyperhidrosis cycle and any future hyperhidrosis formation and related symptoms. The best news is that the program works on all types of hyperhidrosis. It doesn't matter what type of hyperhidrosis you have. The principles outlined in the Sweat Miracle system to cure and prevent your hyperhidrosis are basically the same. These principals have been proven to work and show outstanding results regardless of your age, gender, or lifestyle. Whatever your hyperhidrosis condition is, when you finally decide to stop making the same hyperhidrosis treatment mistakes that have been holding you back and begin applying the techniques in Sweat Miracle, you can literally choose to become hyperhidrosis-free and gain hyperhidrosis freedom for life. You will have the power to make it happen. "I have been on your system for six weeks and not only has the excess sweating in my underarms completely vanished, I lost some decent weight, and many of the skin disorders that were obviously related to my sweating have started to fade away." I'm 34 and had most of the hyperhidrosis symptoms you list. My doctor insisted that I go through surgery but after hearing all the horror stories about the risks of surgical procedures, I decided to try your program. I have been on your system for six weeks and not only has the excess sweating in my underarms completely vanished, I lost some decent weight, and many of the skin disorders that were obviously related to my sweating have started to fade away. It is simply a remarkable experience." "After about three weeks I started to witness dramatic results. The amount of sweat my body is producing has reduced to a fraction of what it once was." I just want to show my appreciation for your dedicated support and for this excellent system. I also want to personally thank you for being so helpful and kind. The world could use more honest people like you. For the last two months I have been strictly following your 5-step holistic system. After about three weeks I started to witness dramatic results. The amount of sweat my body is producing has reduced to a fraction of what it once was. I am feeling so much better and so proud that I am on my way to recover from my hyperhidrosis condition from the inside, rather than using the "deodorant" instant temporary hygiene approach. I want to thank you for writing this book and sharing this with all of us. I have even encouraged my "Doubting Thomas" friend to order it and read it too. To have so much real information in one tight package is an unbelievable value. I would encourage anyone to take advantage of this remarkable program! In the year 2011, Americans spent almost $700 million on over-the-counter anti-hyperhidrosis and skin care products according to Feedback Research Services, a healthcare research firm. The anti-hyperhidrosis industry reaches millions of dollars in sales each and every year. There are hundreds of different manufacturers that produce thousands different products, which are consumed by nearly 17 million people in the United States who have hyperhidrosis! With millions at stake, these greedy fat-cat companies will tell you anything to get you to buy their worthless products. They'll even lie right to your face! For more than 12 years I've researched and experimented with all these "very promising" products only to find the true secret to lasting hyperhidrosis freedom just like you're doing now, so I understand how it feels to be exploited like that and throw your hard earned money on the next useless pill, cream, or over-the-counter and end up with nothing. I wasted thousands of dollars and was frustrated and discouraged just like you before I finally discovered what really worked. The Hyperhidrosis Methods Most People Are Using DON'T WORK! 95% of All People Who Treat Hyperhidrosis End Up Worse Than When They Started! Nearly 30% of hyperhidrosis sufferers do nothing about their hyperhidrosis. Out of the remaining 70%, most will either use a conventional hyperhidrosis medication or over-the-counters or will try to change their diet. Hyperhidrosis remains one of the most common conditions in the United States. More and more Americans suffer from hyperhidrosis each year and they will keep suffering from hyperhidrosis unless they do something about it! The truth is, most of the conventional methods, including all sorts of hyperhidrosis diets, don't work and will make your hyperhidrosis and your health worse in the long run! Why? If you're like most Hyperhidrosis sufferers, the reason you're having such a hard time getting rid of your excessive sweating is because you're using methods that couldn't possibly work, physiologically speaking. Not only that, you could be destroying your health and making your hyperhidrosis worse in the process! Hyperhidrosis starts from the inside and can only be treated and cured from the inside. If you continue to treat hyperhidrosis externally by addressing the sweat or by taking drugs like Ditropan, you are putting your health on the line and you will never get rid of your hyperhidrosis. You see, most people who fail to treat their hyperhidrosis are simply repeating the same mistakes over and over again. The key to your success is working with your body by stopping the internal cause of hyperhidrosis while maintaining inner natural nervous system balance. Life is Too Short to Try to Cure Hyperhidrosis On Your Own Through Trial and Error. Take Charge Over Your Hyperhidrosis Right Now and Follow a Proven Step-by-Step System! Why go through years of trial and error when you can read the Sweat Miracle book and follow the practical step-by-step hyperhidrosis cure techniques that took me 11 years to develop? By applying the "insider's secrets" in this book you can speed up your success by years—not to mention save yourself thousands of dollars in the process! The methods outlined in the Sweat Miracle system are methods most people NEVER discover by trying to do it on their own. The proven and probably the fastest way to achieve any goal according to psychologists is to "model" someone who has already achieved what you want. With this system, you have an opportunity to model not one but thousands of people just like you who suffered from hyperhidrosis, followed the methods in the Sweat Miracle System, and are now completely free. You should be living a hyperhidrosis-free life; it's your birthright. Why do things the hard way? Take charge of your hyperhidrosis right now by following this system! Over 138,000 men and women in 157 countries have already used the program successfully over the past 7 years! And I've used the feedback from all of those men and women to refine the system into the current, updated 2012 version. Not only that, but the Sweat Miracle program has one of the highest satisfaction rates in the entire men and women's health industries: 98.2% of Sweat Miracle users are satisfied with the program. These reader satisfaction statistics above prove that if you apply the 5-step approach of the Sweat Miracle, you WILL get results, plain and simple! As a matter of fact, I had my technical team use our database of customer zip codes to plot a map of all of our customers in the US alone: SEE BELOW! Keep in mind this is only a map of my US-based readers, since the address data for all of my international readers couldn't be plotted by our map software. And that's just the readers of the Sweat Miracle program in the US alone. I Will Take You by The Hand and Teach You The Proven Strategies and Secrets That Allowed Me to Achieve Permanent Freedom From All Types of Hyperhidrosis For The Last 7 Years! Don't feel bad; you're not alone. I've been there too. I've learned slowly and painfully. I made all the mistakes, bought all the wrong products and trusted all the wrong people. I have been through all the pain and anguish, the feelings of disappointment and frustration, the motivation that comes and goes. You try a fairy tale cure that promise to banish your hyperhidrosis in 3 days but it doesn't. You pop an "all natural" pill, but your sweat glands don't seem to care. You take steroids but eventually it only makes your hyperhidrosis worse. You put some expensive topical cream on your body, but it only itches and makes your skin red and dry. It hides your hyperhidrosis but it doesn't cure it. I don't want it to happen to you. I want you to know the truth about your hyperhidrosis and how you can permanently cure it. You deserve it. That's why I wrote this program. "I was so happy to experience no sweat even when working out hard at the gym! No more occasional showers, pills, or deodorants. I don't even need a towel that much." I wanted to drop you a line and say I truly appreciate your help! I was browsing the Internet back in January last year looking for salvation from the sweating hell I was in. The astringents and several medications my doctor had prescribed simply did not help at all and I continued to sweat without an apparent reason until it really became impossible to go out of the house. I was so miserable. Thankfully I accidentally came across your website. My story is not much different than other positive feedbacks you have on your website. I thought I should give your program a try and if it worked then the thirty something bucks would have been worth it. I ordered your program and went to my local health store and bought the supplements and the other more basic ingredients for your program, and then finished your book that evening. I started your program and for a week or so I didn't see any change so I thought "Here we go again." But it wasn't another disappointment. By the end of the first month my chronic sweating just stopped. I was so happy to experience no sweat even when working out hard at the gym! No more occasional showers, pills, or deodorants. I don't even need a towel that much. It's been almost 7 months and I've maintained my freedom from excessive sweating ever since. My skin feels so healthy and clean. I want to thank you personally for everything you have done for me! Order by Midnight Today and You'll Also Receive the Following 8 FREE Bonuses Worth AT LEAST $424.8! A complete guide to naturopathy. 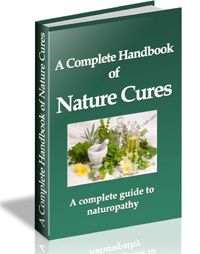 An informative resource that contains 265 pages full of valuable information on how to naturally cure many common ailments and diseases. The book contains information on hundreds of different diseases and illnesses, as well as the symptoms, causes, and treatment for them. You can carry the treatments yourself in the comfort of your own home. You will experience renewed energy, increased vitality, and the greater satisfaction that comes from living a full and healthful life. 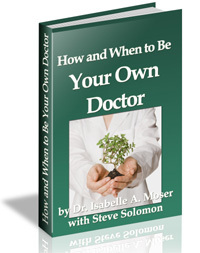 Written by a professional hygienist, Be Your Own Doctor is a wonderful, informative guide that deals with the theories of naturopaths versus traditional medical doctors. The book shows how most of what we're taught about modern medicine and health habits is, in effect, incorrect. The book is loaded with true-life examples, personal experiences, and ideas of how to implement and follow a hygienic diet. 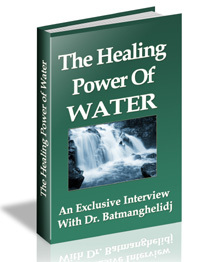 This exclusive interview with Dr. Batmanghelidj reveals how he discovered the healing ability of water and pioneered the emerging field of hydro-health. If you're new to the idea of healing with water, this is a must read report that will forever change the way you think about H2O. Are you sick of the constant stress and mind numbing pace of life? The Ultimate Guide to Stress Reduction and Relaxation is just what you need to finally take control, rid yourself of stress, and welcome relaxation once and for all! Managing stress and knowing how to relax are both absolutely necessary to having freedom from sweat and a healthy and happy life. Stress is a normal part of the hectic lifestyle we all live today. Learning how to handle that stress and finding methods to relax is no laughing matter. Discover the basics of yoga and meditation at a fraction of the cost you would spend to join a class. Best of all, practice yoga anywhere you want! This valuable e-book will teach you about the different styles of yoga and meditation and guide you step by step in beginning your own yoga program without the hassle of driving to a gym or wellness center to take classes. What can you learn from this book? The Secrets to Sleeping Soundly arms you with everything you need to know about the beneficial and harmful aspects of your sleep cycle, including when to recognize that your lack of sleep is reaching critical mass. Sleeping pills aren't always necessarily the best line of defense. Normal, natural sleep is much healthier and The Secrets to Sleeping Soundly explains how to determine what your body needs in order to get the sleep it requires. This program is by far the most effective and proven method to eliminating hyperhidrosis permanently. However, I believe in constant improvement. I will always continue to research, test and refine what I have learned to make this program even better. This help is practically priceless. You'll always feel that someone is there for you... so you're never left to deal with your hyperhidrosis alone. With this free and unlimited email support you can practically be sure that you are always on track, you are always encouraged, and you'll be able to complete the program more effectively and get quicker and better results. Keep in mind that because of the exclusive nature of the support I provide to my customers, and because I am a man that stands by his words, there is obviously a limit on the amount of emails I can answer a day (I already answer more than 100 daily). No matter how committed I feel to help other hyperhidrosis sufferers, this invaluable personal guidance will NOT be offered forever. So What's the Bottom Line? How Much Does This Complete, Life-Changing System Cost? The Sweat Miracle System is by far the most comprehensive and effective hyperhidrosis system you will find ANYWHERE. It is the ONLY holistic step-by-step road map to Hyperhidrosis freedom in existence. And I have some great news for you! Since there are no printing costs for e-books, you can get this e-book for much less than it would cost if it were a hard copy manual—AND you get it instantly (no waiting for the snail mail)! Your investment in this life-changing e-book is now only $37! You get the 220 page Sweat Miracle e-book, easy to follow diagrams, 6 valuable bonus books, free lifetime updates and the priceless 3 months private counseling with Miles Dawson, all for just $37. Yes, this is a bargain any way you look at it! Once you place your order on Clickbank's secure server, you will be directed to the download page, where you can download your Sweat Miracle manual and get started IMMEDIATELY. The e-book is in PDF format, which can be viewed on any computer (PC or MAC). You can read it right on your computer screen, or you can even print out your own hard copy. That's all there is to it. Once you've downloaded your book, read the entire manual from cover to cover. Then take action and start immediately! The step-by-step diagrams and instructions are written and presented in a conversational tone and in plain English so you can start today! The results will come. Every week your hyperhidrosis will start to heal, your sweating will decrease, and you'll start looking better as your system quickly starts re-balancing itself. At the end of several weeks, you'll look and feel so great that your friends may not recognize you. Best of all, you'll know that the freedom from hyperhidrosis you've achieved is permanent and you'll own the knowledge that got you there. "My palms and feet don't sweat much anymore and I feel much younger, and have so much energy! " Before I started your program, per my doctor's orders I was treated with medications such as Robinul for months without significant improvement of my sweating condition. I used to sweat like crazy almost all of the time and in all the wrong places. I just couldn't stand it anymore! I feel so lucky I have found your website. The results from using your program were amazing and took place in a matter of weeks. My palms and feet don't sweat much anymore and I feel much younger, and have so much energy. It's almost magical! You have saved me so much agony, frustration, and the risk involved with surgery many times the purchase price. " Look at it this way: the money you invest in this program is a drop in the bucket compared to the amount you've probably wasted on worthless drugs and quick-fix antiperspirants that didn't even work. If you're even remotely interested in learning the truth about permanent hyperhidrosis freedom, then you owe it to yourself to at least try the Sweat Miracle system. Frankly, this program isn't for everyone. 95% of the people in this world are going to keep looking for that fairy tale pill or quick fix treatment. But I don't think you would have read this far if you were the type of person to follow the crowd. If you're one of these special people who are motivated enough to try a real honest and effective hyperhidrosis solution, one of the top 5% who are ready to do what it takes to finally be hyperhidrosis-free, then join us and order today, because "just thinking about it" never led anyone to freedom from excessive sweating. Right now is your chance to start the path to a hyperhidrosis-free life. Not tomorrow. Not next week. But NOW! This is one of those moments when you have to take your fate in your own hands and start doing something... Isn't it time you tried something that actually works? You've found what you've been searching for. Now do it! P.S. If you have any questions or concerns you'd like answered before you order, feel free to contact us at any time. Sweat Miracle has already worked for thousands of people in 157 countries worldwide, and many of them had questions about the program before they started. Please do not make the mistake of dismissing this opportunity out of concern that it may be hype or some scam. If you have reservations let me put your mind at rest. I will be more than happy to talk to you if you need reassurance. I know my system can work for you, too. If you're tired of all the B.S. and you're ready for the truth, then don't put this off! Action is the only way forward. P.P.S. Remember, you have nothing to lose by at least trying my unique hyperhidrosis system, and you need to act quickly to get in on this offer before the price goes up, so click on the link below to order today! P.P.P.S. I know that you're probably frustrated because of your hyperhidrosis condition and the only real question on your mind is whether or not my program will help you. Well the answer is YES... I believe it will. I can honestly say that the Sweat Miracle is one of the most advanced, science-based systems ever created to battle hyperhidrosis. Not only in my opinion, but from all my customers who said they tried numerous other products with little or no success. Just look at all the testimonials above! These are real men and women who were once in your exact same position until they found this website. Nothing on the internet or even in book stores can compare to what you're about to get your hands on. NOTE: Sweat Miracle is a downloadable e-book. No physical products will be shipped. After you order, you will get INSTANT ACCESS to download the e-book and all the bonuses onto your computer. The e-book format is Adobe Acrobat PDF, which can be viewed on Mac or PC.